Starting later this week Alex Piccirillo's students will have their works on display at the Montclair Art Museum for six weeks. This is the one I chose for the show. It's fairly monochromatic in its colors, but I like the play of shadows. These objects were leftover paper goods from a meeting I attended at church. 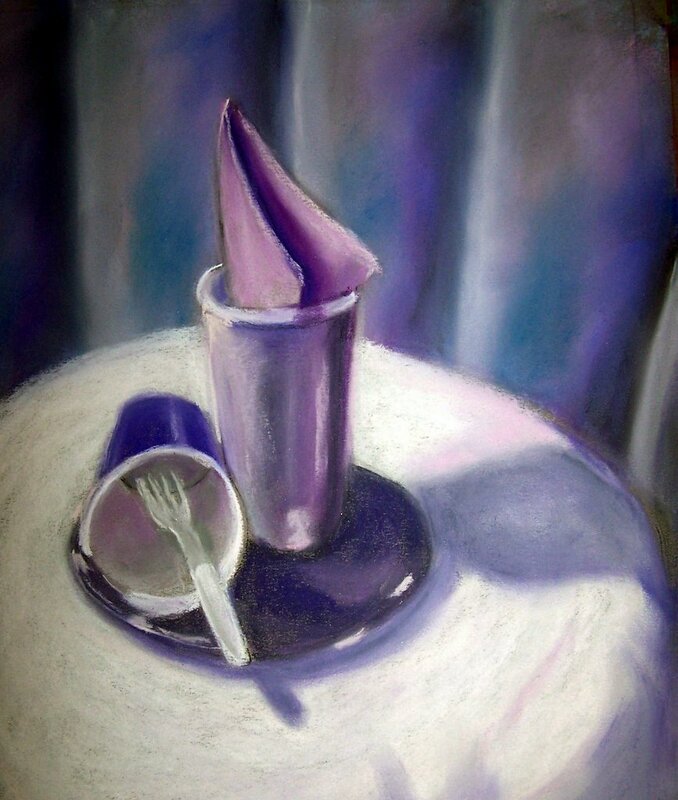 As I sat there with them in front of me I thought how much I enjoyed the different shades of purple, so instead of tossing them in the garbage at the end of the evening, as everyone else did, I brought them home and set up a still life! Another reminder that art need not be grand, but can be created from humble images too.